The demise of Google Reader sent many RSS enthusiasts scrambling to find a new feed reader. There are plenty of choices, but if you want a reader that is bare-bones and simple, then LuckNews 2.0.3 (Mac App Store link) might be one that you should consider. LuckNews is as pure an RSS feed reader as you can imagine. There are no graphic displays of the feeds that you subscribe to. It’s a simple three-column display of the RSS name, list of stories and the story itself. You can set customizable fonts for each subscription, thereby allowing sites look as similar or as different as you want. 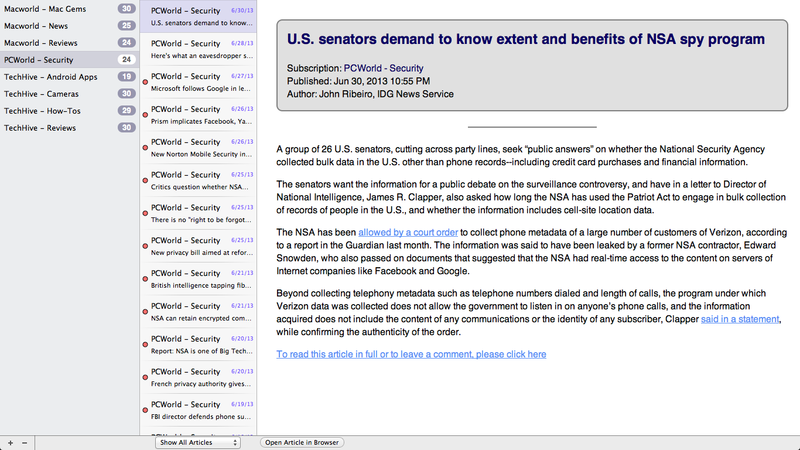 One nicety of LuckNews is that when you click to add a new feed directly from a website’s RSS page, LuckNews launches and adds the new RSS feed. 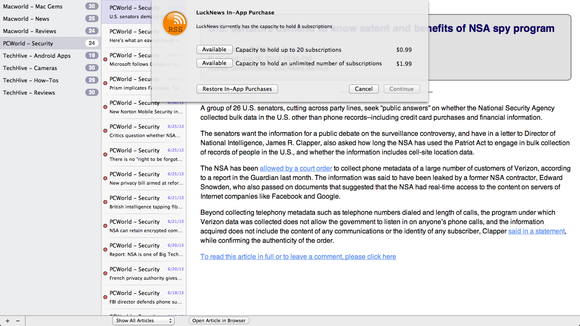 While LuckNews is free in the Mac App Store, it only allows for eight subscriptions. If you want more than that (and you probably do), you can pay $1 for up to 20 feed subscriptions, or $2 for unlimited feed subscriptions. LuckNews is incredibly simple and easy to use. Its stripped-down but fast approach will appeal to some, but also off-put others. 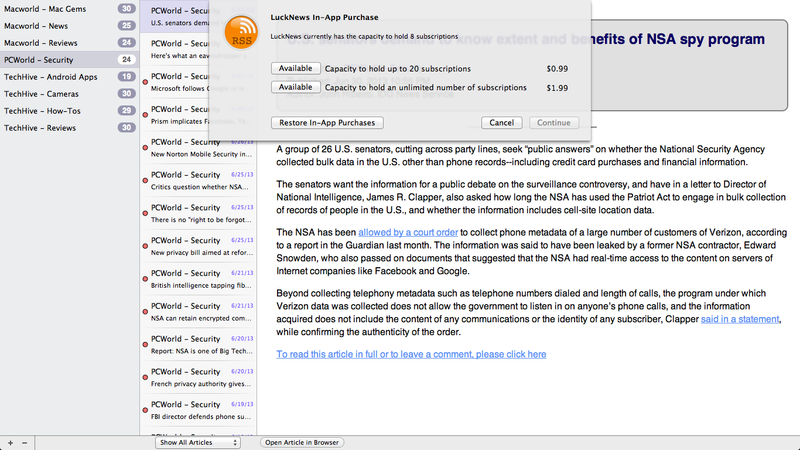 LuckNews doesn't have a lot of features, but it works as a RSS reader.